Welcome to the Crandall Minacommuck Farm! Food and culture are intimately connected, with both helping to sustain the well-being of any society. This was true for the Narragansett Tribe both before and after European arrival. Traditionally, the Narragansett were a hunter-gatherer people, who relied on the bounty of the sky, land, and sea for thousands of years. For countless generations, they celebrated thirteen thanksgivings, or one for each moon in a given year. The ripening and harvesting of various foods marked many of these thanksgivings, such as strawberries and cranberries. Others, like Nikommo, are in honor of the winter moon. 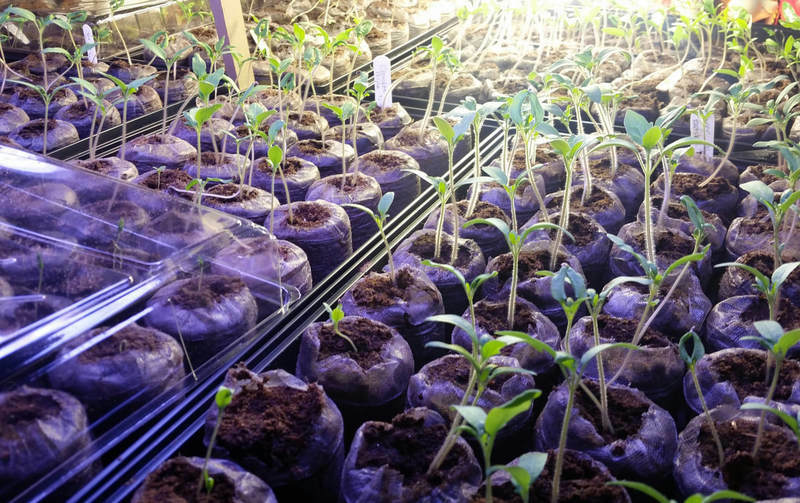 Traditionally, the Narragansett cultivated plants such as chenopodium, sunflowers, and eventually maize, beans, and squash, which are commonly called the "Three Sisters." This mixed subsistence strategy was threatened by colonization and eventually outlawed by the English, who saw cultivated farming as the only way to "improve" the land. European farming was more intensive than Narragansett horticulture and the domesticated animals that Europeans brought devastated the Narragansett's shellfish beds and open planting fields. Married since 1985, Dawn and Cassius are active members in the Narragansett Tribe. Cassius has worked in museum education, masonry, and currently at Natural Resource Conservation Service. Dawn has also worked in museum education, arts administration, and served as Narragansett tribal secretary and on other various committees. Both are also award-winning artists. Cassius makes longhouses, wetus, dugout canoes, pottery, baskets, and mats. Dawn makes clothing, jewelry, and, corn husk dolls; she also does beadwork, basketry and paints. Dawn and Cassius serve as head Narragansett dancers, and through Dawn's leadership, created the Northeast Indigenous Arts Alliance (NIAA). In one of their many adventures together, Dawn and Cassius launched the Narragansett Food Sovereignty Initiative (NFSI) at Crandall Minacommuck Farm in 2015. They did so knowing how important food is for their Tribe to survive and flourish. As traditional food gatherers through hunting, fishing, gardening and gathering with their immediate and extended families, Dawn and Cassius carry with them the traditional values of food, which they have taught to their children and grandchildren. 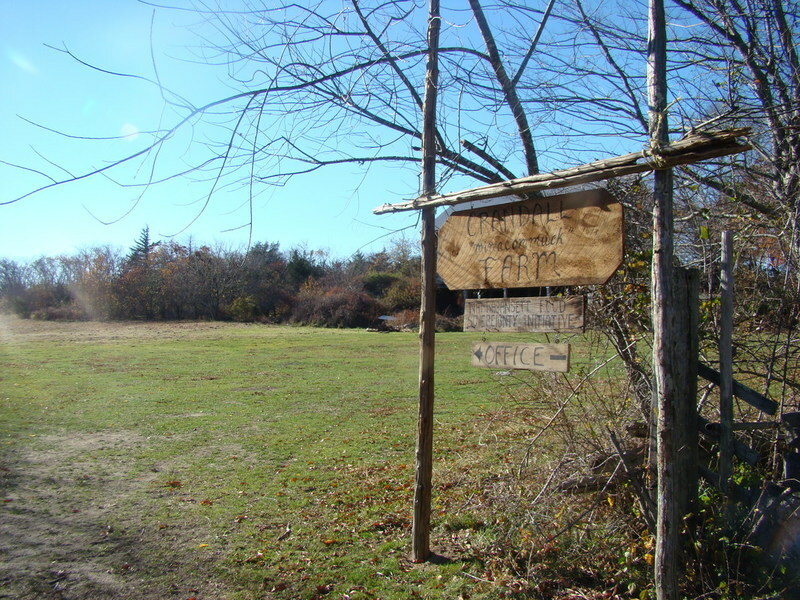 The Crandall Minacommuck Farm is a unique 150-acre farm, surrounded by Rhode Island's second largest wetland that contains a large 100-acre white cedar forest, a site of both historic and cultural significance for Rhode Island and the Narragansett Indian Tribe. Under the management of Narragansett Food Sovereignty Initiative (NFSI) the Narragansett Indian Tribe hopes to provide Narragansett people and the Rhode Island community access to food, health, and wellbeing, now and into the future through sustainable agriculture, economic development, community involvement, and educational programs. One of the priorities of the NFSI is to reinstate the rich connection that the Narragansett and the local community had with this property through the continuation of agriculture and preservation of the land's historic resources. The model of the NFSI is an economically sustainable one, where crop production supports infrastructure maintenance and community programming. Dawn and Cassius' goal is to create a social-collaborative site for farmers and community members through workshops, demonstrations of farming practices, and joint economic and infrastructure projects. The Welcome Sign for the Narragansett Food Sovereignty Initiative: The Narragansett Food Sovereignty Initiative began in 2015 at the Crandall Minacommuck Farm in Westerly. 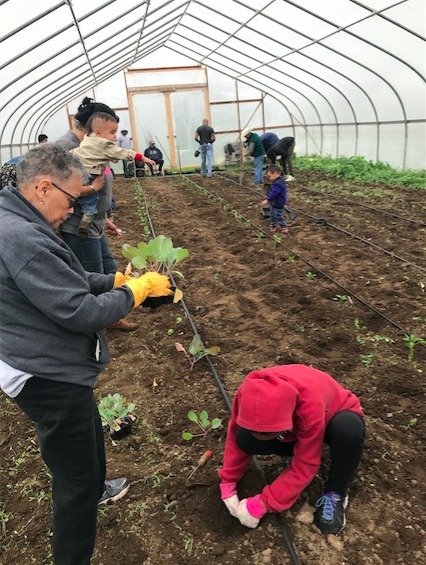 New Beginnings: Here are some of the first seedlings taking hold at the newly launched Narragansett Food Sovereignty Initiative. 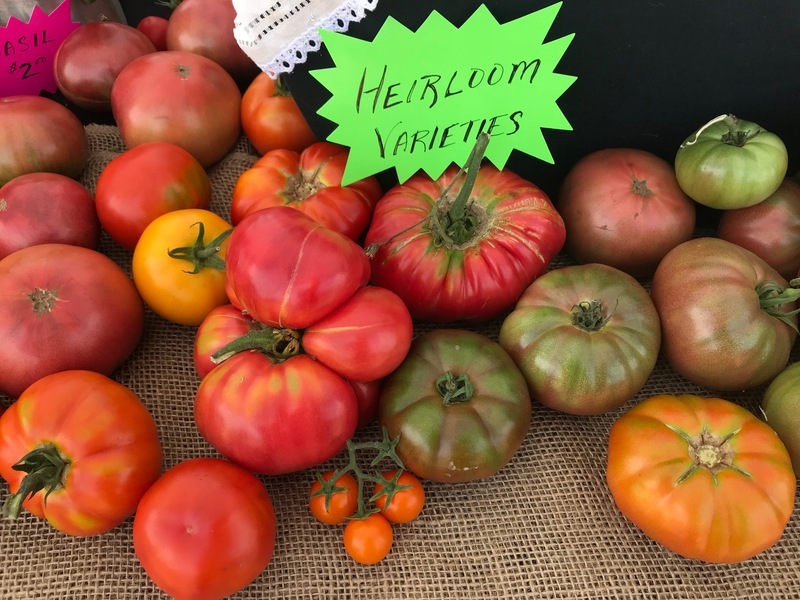 Tomatoes for Sale! : Vegetables grown at NFSI include tomatoes, beans, squash, corn, peppers, gourds, etc. Planting at NFSI: Similar to other farms, planting at NFSI is a family affair! Engaging whole families in farming ensures that agricultural knowledge is transferred between generations. In the 17th century, Roger Williams observed the Narragansett community as they came together to break up the field and plant corn together, a true communal event. 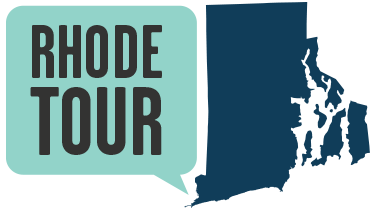 For more information on the Narragansett Food Sovereignty Initiative, visit this website. Katharine Kirakosian and Tomaquag Museum, “Narragansett Food Sovereignty Initiative (NFSI),” Rhode Tour, accessed April 21, 2019, http://rhodetour.org/items/show/302. Kimmerer, Robin Wall. (2015) Braiding Sweetgrass: Indigenous Wisdom, Scientific Knowledge and the Teachings of Plants. Milkweed Editions. LaDuke, Winona. (2016) Recovering the Sacred: The Power of Naming and Claiming. Haymarket Books.